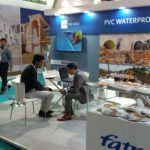 In the third week of April Fatra participated in Roof India- World build fair. The fair commenced from 20th April 2017 until 22nd April 2017, at Bombay Exhibition Centre. The participation and all arrangements were solely done by Fatra only. The size of the stand was 3×6 m and presented the whole range of PVC waterproofing Systems and secondarily Vinyl floor coverings. The area for the fair was 5,000 m2 and more than 130 companies exhibited from 19 countries mainly from India, China, Italy, Germany, Denmark, Belgium and also some companies from the Middle countries as well. The total number of visitors in fair were more than 5,000. The companies who exhibited in fair showcased their products mainly in Roofing Systems, Architectural Cladding, Pre-Engineered Buildings, Metal Building Systems, Tensile Membranes / Tensile Architecture, Green Roofs / Roof Landscaping Technology, Waterproofing, Roof Insulation, Roofing Machinery, Roof Fastening Systems, Floor coverings, Chemicals and Adhesives, Floor Tiles and Roof Shingles. 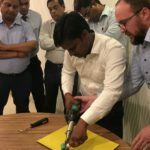 The overall experience and feedback from the fair was quite good and by participating in the fair we marked our local presence in the Indian Market. 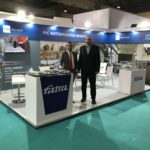 The visitors to our booth were mainly from different regions in India, Nepal, Sri Lanka, and also from some Middle Eastern regions such as Iraq and were mainly applicators, consultants, contractors, architects and agents. There were also competitors who were active in the fair by participation, such as Renolit, SIKA, TEXA, BASF and many other local bitumen producers. Competitors such as Firestone, Carlisle, Maris Polymers, and Technonicol also visited our stand. India is the 2nd fastest growing economy in the world and has huge potential in infrastructure. 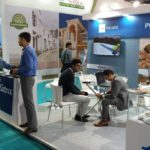 And shows many upcoming projects for Pre-engineered Buildings/Factories, Airport modernisation / new airports projects, Metro Rail, New Hotel / Resorts, IT Parks, Retail Malls, Hypermarkets, Multiplexes, Integrated Townships etc. Here we see a huge potential for our products.